Recipient of the HUDA’s “INTACH” Award for outstanding Historic Preservation, Chiraan Fort is an escape form the ordinary. 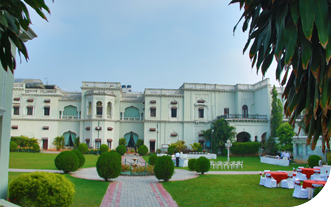 It is a spacious palace spread over 6 acres of gardens in the heart of the city, is well suited for business or leisure. Our superior rooms and suites, friendly accommodating staff, extensive meeting and banqueting facilities, fantastic dining and recreational activities make us the ideal service destination for the entire family. However you spend your day, you’ll be sure to end it comfortably at Chiraan Fort. The web site is a virtual trip through the many activities and services our fine club has to offer. Copyright © 2016 Chiraan Fort. All Rights Reserved.